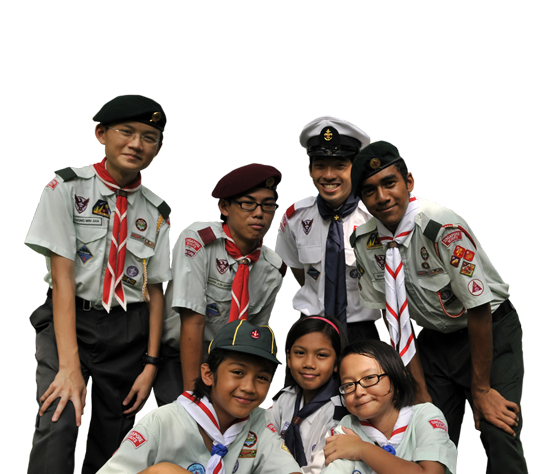 The Singapore Scout Association (SSA), formerly known as the Boy Scouts Association, was constituted under the powers granted by the Royal Charter issued under the hand of King George V dated 4th January 1912, and the Boy Scouts Association Act (Cap 26, Singapore Statutes, 1985 Revised Edition) having the force of law in Singapore. It is registered (No. 0196) as a Charity under the Charities Act, 1982 with effect from 29th June 1985. Over 28 million young people in over 216 countries and territories have discovered the Scouting way of life, its Promise, Law and Motto. With its fun-filled, exciting activities and programmes, Scouts can discover, learn and put into practice essential life skills through serving others and learning by doing.